On behalf of our 20,000 members and their 1.2 million employees, I am writing to express opposition to S-15 which increases the minimum wage to $15 an hour. Proposals increasing the minimum wage to $15 an hour have been offered with the best of intentions by those who truly believe they are making the lives of New Jerseyans better. However, the reality is that increasing the minimum wage by an unprecedented 79 percent will have a negative impact on small business, the New Jersey economy and on those exact workers that the proponents of this policy are trying to help. There is no research or empirical data about the economic impact of a $15 minimum wage. In Seattle, the minimum wage is only now at $11 on the way to $15 and New York and California are in the embryonic stages of implementing their own laws. This is truly uncharted territory. Economists nationwide on both sides of the aisle have stated their concern about undesired and unintentional economic consequences, including President Obama’s former economic adviser, Alan Kreuger. The law of economics is a simple one: when the cost of doing business increases you only have two options to absorb that increase – cut expenses or raise revenue. If this bill is enacted, small businesses will have to raise their prices, reduce the number of employees or cut their hours. Those are the only practical choices. The voters of New Jersey approved a $1 increase in the minimum wage just two-and-a- half years ago. It has taken small businesses that long to adjust to it, and that was only a 16% increase. Now small businesses are being asked to absorb another 79 percent increase. This comes at a time when there is talk of yet more mandates in the workplace, such as paid sick leave and flex hours. There is also the looming constitutional amendment to fund the state pension, which will surely mean a further cost for New Jersey businesses in order to fund the pension’s annual $3 billion to $5 billion liability. Proponents also assert that phasing in the increase will somehow make it easier on the business owner. It won’t. A persistent rise in costs year over year when not tied directly to the economic realities of that time is in no way better, especially if the economy fails to keep pace with the cost of the increase or, even worse, another recession or natural disaster strikes. In essence, what proponents of an increased minimum wage are doing is assigning an artificial $15-an-hour value to positions that have already developed a well-defined economic value based upon supply and demand. Rather than artificially inflating the economic value of minimum wage positions, we should focus our efforts on policies for workforce development opportunities and incentives. This will afford those making minimum wage to advance in their careers, thus earning a better living for themselves and their families. Further, once you artificially inflate the value of a minimum wage job, you impact the value of every other job in the state. That’s the ripple effect. Those now in a job currently valued at $15 an hour, and every job above it, will be asking for and expecting similar increases. Also, there is no consideration whatsoever for the value of additional benefits that workers may be receiving, such as bonuses, commissions or 401k benefits, and whether those benefits could be sustained given the increased costs. All businesses, regardless of the wages they currently pay, will experience other indirect costs, such as increases in the state-mandated unemployment insurance and short-term disability taxes. These costs are calculated on a statewide average weekly wage which will most definitely increase as a result of this bill. If enacted, this policy overreach will result in unprecedented increases in the cost of doing business. 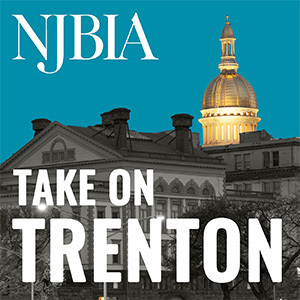 NJBIA members are directly telling us every day what the economic impact of this proposal will be. There’s the defense contractor who will go out of business if required to increase his costs by 79 percent because he has promised to complete his multiyear contract at a set price. New Jersey’s home healthcare industry has questioned its survival if it must pay a $15 minimum wage at the same time that Medicare and Medicaid reimbursement rates are set at the same $15 rate. Fast-food franchisees have told us they will automate and go to tablets instead of paying employees $15 an hour to take orders. Gas station retailers, who are not legally allowed to automate the pump, will have no choice but to raise their gas prices; they tell us the increase will range from $.08-$.16 per gallon. Nonprofits that already are operating on a shoestring to deliver community services will be hard pressed to keep pace. And forget about 16-year-olds getting their first job. No one is paying them $15 an hour. And let’s not forget New Jersey’s beleaguered taxpayers. A minimum wage increase also increases government costs through the private groups they contract with both on the state and local levels. Finally, proponents suggest that a $15 minimum wage will afford those earners the ability to avoid government supported social service programs and therefore, the state will benefit and see relief in the demand for these programs. However, the exact studies that proponents cite question the ability to “sustain” $15 an hour and recognize that the underlying issue is the need for structural economic changes in New Jersey to make the state more affordable and provide better income opportunities. For example, the ALICE report cites needed reform in housing affordability, healthcare delivery, investment in infrastructure and affordable childcare. The report confirms that New Jersey is the fourth most expensive state for housing (renters pay more than 35% of their income on rent, while owners pay 30%), healthcare costs have increased by 36% from 2007-2012, and taxes equate to 24% of budget (income tax is 14% for individuals and 12% for a family). As such, the report concludes that it remains questionable whether even at $15 a family of four can survive here given New Jersey’s high taxes and home prices. Regarding job opportunity, the ALICE report notes that past decades of structural changes have limited the growth of higher skilled jobs and the lack of skills and job training. As such, comprehensive reform toward affordability factors and workforce development is where New Jersey policy making should be focused. On that subject, I am proud to say that NJBIA is making a forceful ongoing effort to expand and improve workforce development for exactly these reasons. We want to build more career pathways for workers who have the desire and ambition to improve their financial circumstances and need only to learn the skills that are in demand today. In conclusion, New Jersey businesses want to pay competitive wages to keep and attract good employees, but can only do so when the economics make sense. Requiring businesses to increase their costs by nearly 80 percent whether or not they can afford it and without consideration to the overall economic climate, is not the way to grow new jobs and build New Jersey’s economy, especially for small businesses. We must take a more comprehensive approach to structural changes that drive the issues of affordability and job opportunity. For these reasons we respectfully ask you to vote NO on S-15.